First, there's no better endorsement for two-factor authentication than the DBIR. 63% of all attacks used weak, default or stolen credentials. It is unclear what percentage of these credentials were for administrators, but the attack maps make it clear that the most common path is phishing > malware > stolen credntials > more bad stuff, so it seems safe to assume a good percentage are admin creds. 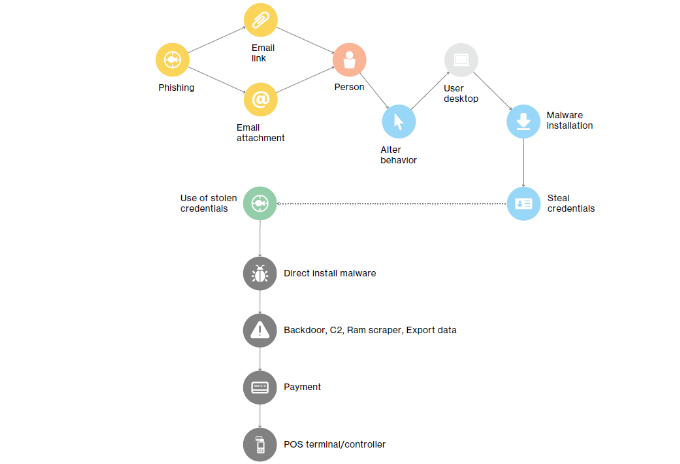 Additionally, looking at the stolen credentials are used for exporting data and setting up command and control malware which indicates a high level of privilege. It will be interesting to see what if any impact PCI-DSS 3.2 will have on this pattern. The DBIR notes that 27% of all incidents involve Payment Card Information. Will the new PCI requirement for 2FA for admins in the cardholder environment have an impact?